Very cool to see this today! 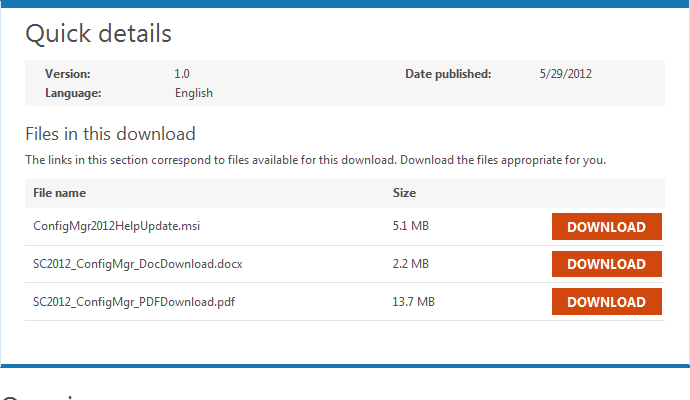 Microsoft has released the initial offline help file for System Center 2012 Configuration Manager. But…better than that…it comes in three formats. a CHM file…with an update utility!!! If you install the ConfigMgr2012HelpUpdate.msi app, you will see the following on your Start Menu. The first link is the help file…note that it is dated May 2012. The second is the update wizard…which presumably will keep the local copy up to date with the online version when a new offline copy is published. Very nice! Thanks for this link Jarvis. This is much easier than trying to go through the hyperlink maze on the Technet site.